Delphinium confetti in many colours and mixtures. 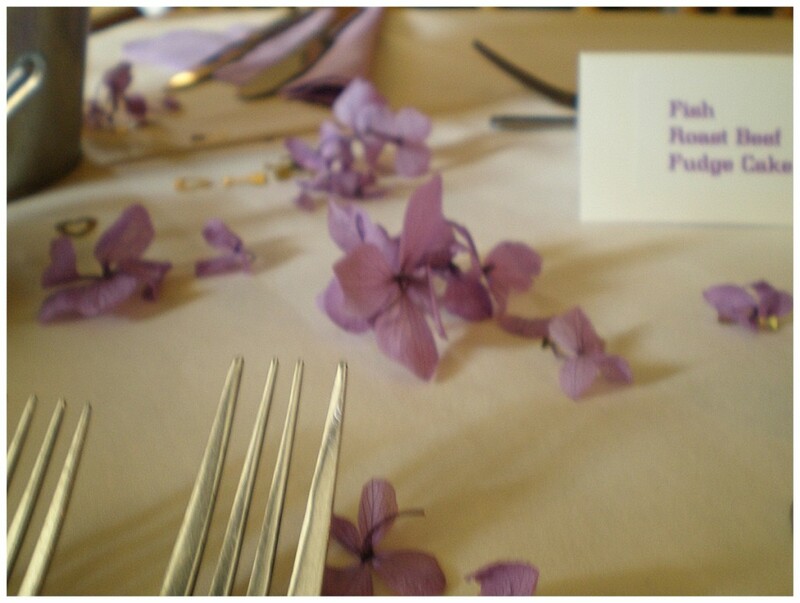 Pretty, biodegradable, natural petals in throwing or premium quality. Delphinium confetti in a range of colours. Image shows Ivory (centre), Indigo (top left), Lilac (top right), Pale Pink (bottom right) & Raspberry (bottom left). A wide range of colour mixes also available. A sophisticated wedding confetti which flies well so is stunning in photos. So light it cannot be sold by weight. Delphinium confetti is traditionally sold by volume - buy by the litre. One litre contains about 10 handfuls. If you are planning to use it as table confetti, we recommend using the premium grade. Confetti cones containing throwing quality all colour mix delphinium confetti. Gingham lined confetti basket containing a mixture of mixed confetti petals:- red rose petals with ivory delphinium petals. Enter shop for current prices and availability. Confetti petals including pretty petal mixes. 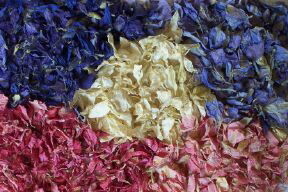 Dried rose petal confetti in various colours. Details about natural confetti and biodegradable confetti. Delphinium Confetti for weddings - buy online by clicking on Go Shopping. This takes you to our comprehensive online catalogue and shopping cart. We accept most major credit and debit cards, PayPal or cheque. Back to top of delphinium confetti page. Standard UK delivery is £3.99 & takes up to 4 working days.